Who is Confucius and why do we celebrate Confucius Day? Confucius is a great Chinese philosopher and scholar whose philosophies are respected not only in Chinese culture, but also in global regions. His wisdom has influenced many others who, through his teachings, have also become famous philosophers and scholars. One of his strong beliefs was that if everyone fulfills his/her duty as a human being, society could remain at its best with harmony and peace. Basically, it means that we are responsible for who we are and what we do. Being a teacher is not only about teaching the students academic curriculum, but it is also about cultivating students' social emotional skills. What we describe in ISTP's core values are aligned with Confucius' early beliefs -- one particular core value, "foster integrity, trust, and respect of others" complements the academic, thinking mind with a social emotional aspect - that what you do affects not only yourself, but others as well. Now, imagine these ideals taught within a bilingual immersion setting. The skills and tools learned are done so within the perspective of multiple cultures; it's an understanding that between cultures the "how" of behaviors may differentiate - but ultimately, the betterment of our world as a whole is what ties us all together. Our students share a fundamental acceptance and appreciation of what it means to be a human being and to contribute to a larger, global society. On the homefront, Confucius believed that students are responsible to learn and study, and do their homework to practice what was being taught by the teachers. They are also responsible for their belongings at school and at home, which teaches autonomy. To live within this context; to accept responsibility and to show respect by fulfilling those responsibilities, is an aspect of the teacher-student relationship. This belief of respect and responsibility, has endured from Confucius' time, and it's something we proudly teach here at ISTP (we like to call them our "Citizenship Standards"). To honor Confucius' contributions, celebrating his "day" on September 28th (his birthday calculated from the lunar calendar) is a way to show our appreciation for all teachers, across the globe. Teachers at ISTP and schools everywhere have one of the most difficult jobs -- it takes dedication, passion, and knowledge to be able to educate students and fulfill their needs. 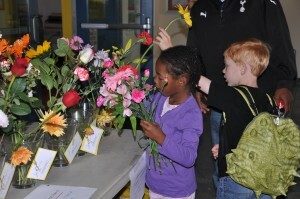 On Cowper, students all bring flowers for their teachers -- and vases upon vases are filled with these flowers, so each teacher gets to bring home an arrangement from the students. It's a great way to blend culture with just plain gratitude for the incredible teachers we have here at ISTP. I hope you will join me in showing appreciation to your child's teachers, for all the hard work she/he has done for you, by saying “Jiao Shi Jie Kuai Le!” (Happy Teacher’s Day!). It just so happens that ISTP's celebration of the Mid-Autumn Moon Festival also falls on September 28th. 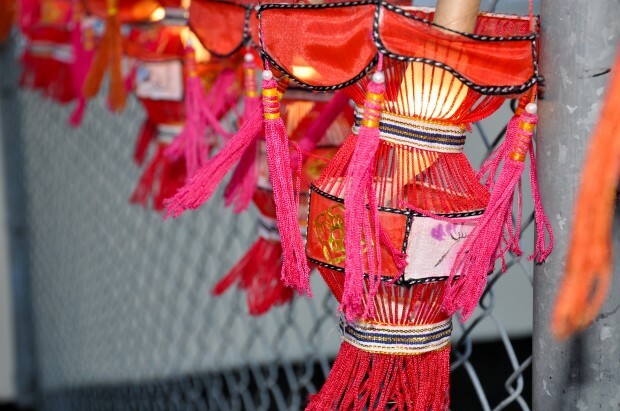 This festival is one of the three major Chinese traditional holidays in the Chinese communities. It's generally celebrated when the moon is roundest in a year, which tends to be in the fall. Therefore, it is named the Mid-Autumn holiday. Since the moon is round, it is also seen as a "reunion", a time when family members get together, have dinner, and watch the moon rise. Stories are told to children (that's why we have all sorts of myths about the moon), and children would walk around in the dark with a lantern in their hands. It really is a joyful activity for all family members, from young to old. Have you enjoyed a moon cake? To celebrate this holiday, pastries are made - as round as the moon itself. Therefore, the name "moon cake." People give these pastries to one another to symbolize "being together." It's a long-standing tradition. At ISTP, we celebrate with our own Moon Festival, with an event hosted by our PTA. All families, from across our 30+ nationalities, are welcome to join us. This potluck celebration brings our community together - we share a meal, share stories of the moon, students jump and laugh while holding their hand-made lanterns up to the sky... it really is a joyful evening. If you're joining us for the PTA Moon Festival and Potluck, don't forget to bring a dish to share and some other helpful items (blankets to sit on, jackets just in case it gets cold, etc.). We'll have hot tea and beverages ready and waiting for you and your family. See you there!